In the latest of funding updates in the Indian startup scene, Ratan Tata, Chairman of Tata conglomerate, and notable entrepreneur, has invested an undisclosed amount in online pet content community and ecommerce platform Dogspot.in. The other investors in the deal include TV producer Ronnie Screwwala and four others. 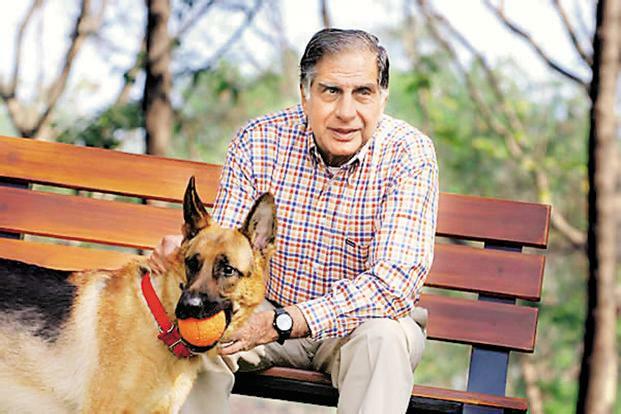 Tata, himself has been known to be a dog lover and has sheltered many stray dogs in the Tata headquarters in Mumbai. Incidentally Dogspot was featured as one of the 13 pet-focussed startups by OfficeChai. DogSpot is a one stop platform for all the dogs’ needs and according to ComScore, the most visited portal in the pets sector. According to the founders, “DogSpot aspires to solve problems in the dog world, by aggregating and organizing information, bridging gaps and hence bringing the community closer.” Apart from information on all things 4-legged and furry, DogSpot.in also sells pet accessories on the platform in affiliation with various partners. “The investment by Mr Tata is an endorsement of the long-held belief by us and our investors that the Indian pet care sector is going through a phase of huge growth and transformation,”, Rana Atheya, cofounder and CEO of DogSpot told OfficeChai. “We will invest this round of funding towards development of more products in our own brands, contract manufacturing, research and development, product positioning and branding. We will add more products in every category for pets. DogSpot will be the most loves household brand for all pet homes in India. We aim to be part of every pet home in some way or the other”, Atheya added. The investment in Dogspot.in marks the 20th investment for Tata who in his personal capacity has supported many other startups, including Ola, Snapdeal, Cardekho. “We invested early in DogSpot.in as we believe the pet market in India will explode in the next five years as India further urbanises. DogSpot. in is as much a destination to know more about pets as it is about the ecommerce of pets,” said UTV Software founder and entrepreneur Screwwala.